Meridith has been working with Dr. Rosato for a year. Originally from Concord, NH, she attended the College of the Holy Cross, where she studied pre-medical studies, chemistry and studio art. 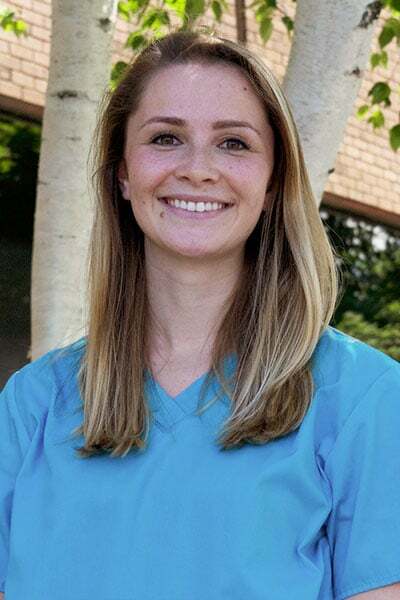 Passionate about dentistry and oral hygiene education, Meridith is an aspiring dentist and is currently in the process of applying to dental school. Meridith loves working with Dr. Rosato and appreciates the superior level of care patients experience during their visits. Meridith enjoys working with patients to improve their oral health while creating a positive, low-stress experience for anxious patients. She understands the importance of preventive care and the impact oral hygiene can have on a patient’s overall health and wellness. In her free time, Meridith loves spending time with her rescue dog, Sweetie.